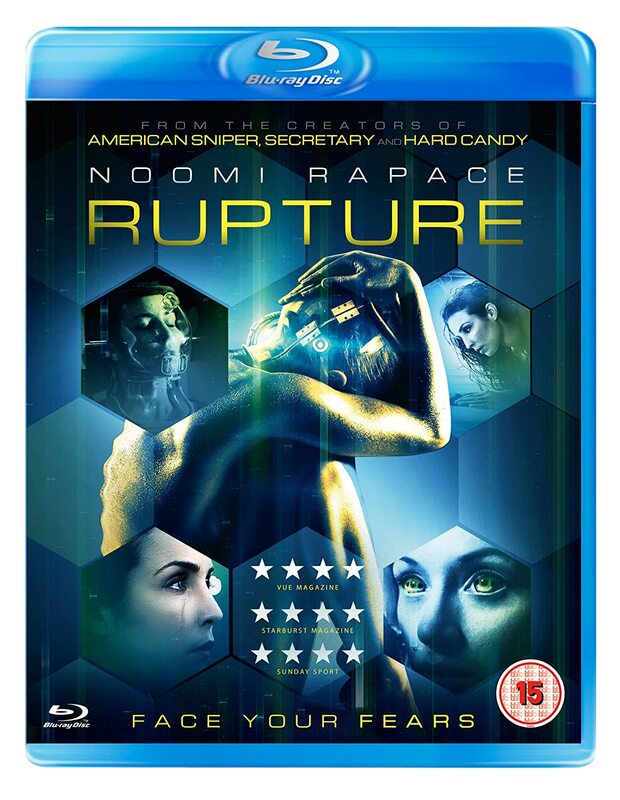 Arachnophobic single mother Renee (Noomi Unlocked Rapace) is kidnapped by a mysterious organisation and subjected to a string of chemical and psychological tests in an effort to rupture her genetic code and transform her into something more than human in this slow-drip sci-fi-hued thriller from Secretary director Steven Shainberg. Hard Candy and 30 Days of Night scribe Brian Nelson’s high concept screenplay is admirable in scope, but his vision for this underground worldwide organisation nefariously pushing for the next step in human evolution is hindered somewhat by the film’s exasperatingly slow pace and claustrophobic feel. With Renee spending half the time strapped to a table and the other half crawling Die Hard-style through purple-tinted air vents, Rupture feels more like an unnecessarily-elongated episode of Black Mirror than A Clockwork Orange. As a fan of Noomi Rapace since her Girl with the Dragon Tattoo days, I had been saving my viewing of this Blu-ray, and I really wanted to like it, but by the time “skin-talkers” Michael Chiklis, Leslie Manville, Kerry Bishé and Peter Stormare had finally morphed Renee into a three-pupiled Picasso-painting thanks to copious spider-based hallucinations, my eyes were rolling at how such an outlandish conceit could be scuppered by a small budget, small set and small – if talented – cast. Humanity’s cure clearly required larger funding to succeed.